Become a certified Indoor Grower today…and take your future into your own hands. Our Indoor Grower Certification gives you comprehensive information on successfully cultivating cannabis indoors. If you are ready to become an expert in the craft of growing cannabis indoors, this certification is for you. Growing cannabis indoors can seem complicated, but most of the time it is because growers don’t have the right information or know the important techniques of cultivating in an “artificial” indoor environment. Whether you have dabbled with indoor cannabis gardening or are taking the first step, our Indoor Grower Certification has all the information you need. Perhaps you are looking to invest in yourself to improve your personal gardening abilities, or maybe you want to get an edge on the competition in the cannabis industry. No matter your motivation, you will not be disappointed and individual gardeners find great success from their indoor gardens. And many commercial growers create custom indoor growing environments, there is a specialized level of knowledge required to grow successfully indoors, and we will help you learn what you need. You will master how to grow cannabis indoors at any time of the year. And you will learn a variety of techniques to utilize multiple growing areas and ensure that there are always plants in both the flowering stage and in the vegetative stage. Unlike outdoor growing, the possibilities for indoor growth are limitless. In our Indoor Grower Certification will show you how to make growing areas out of closets, basements, attics, and other enclosed rooms. You will explore soil and hydroponic systems to determine which is best for your growing space. 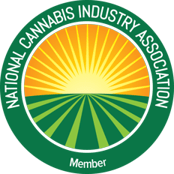 Our Indoor Grower Certification is easy-to-understand, trains you on exactly what you need to know, and is the most comprehensive indoor growing education certification in the cannabis industry.